Built in 1931, this neo-federal style building was designed by Charles G. Loring and originally housed both the Police and Fire Departments. 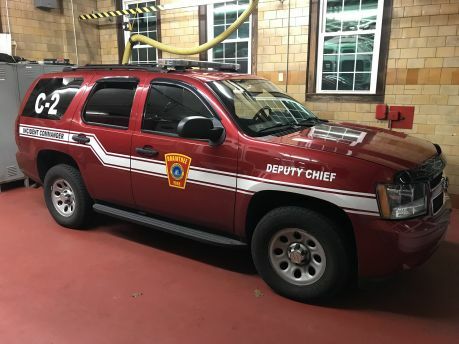 It is now home to the offices of the Chief of Department and the Administrative Officers, as well as Engine 1, Ladder 2, Engine 4, and the Shift Commander C-2. The Headquarters District covers Central and North Braintree, including all highways. 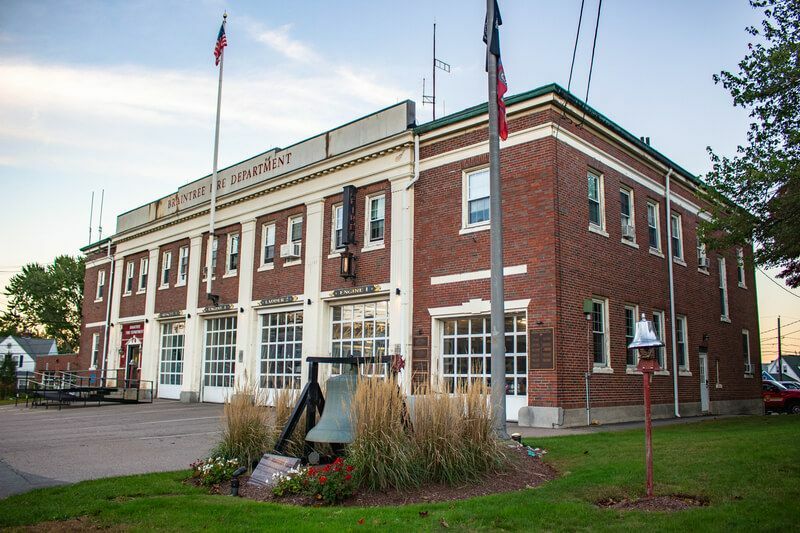 The bell in front of Headquarters was purchased in 1877 for the old Hollis Avenue Fire House and now serves as a memorial to all Braintree Firefighters. First due Engine to all fire calls in District 1, second due Engine to all fire calls in Districts 2 & 3. Also responds to motor vehicle accidents, carbon monoxide and gas emergencies, elevator emergencies, and "smells & bells" investigations. 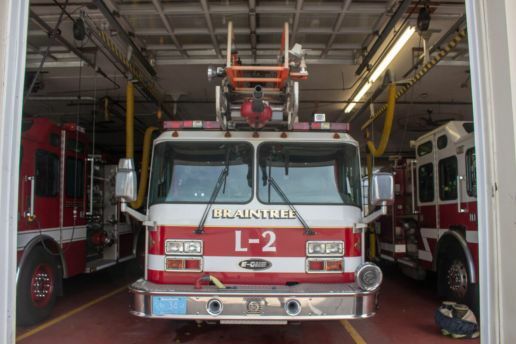 As the Shift Commander, the Deputy Chief on duty (C-2) assumes command at all major incidents throughout the Town of Braintree. 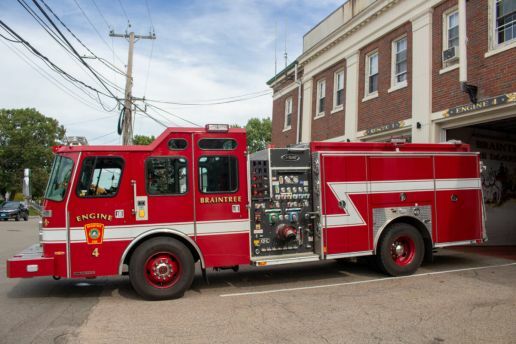 C-2 also travels throughout town checking on any ongoing fire protection related work that may require fire watches or fire alarm box disconnects. 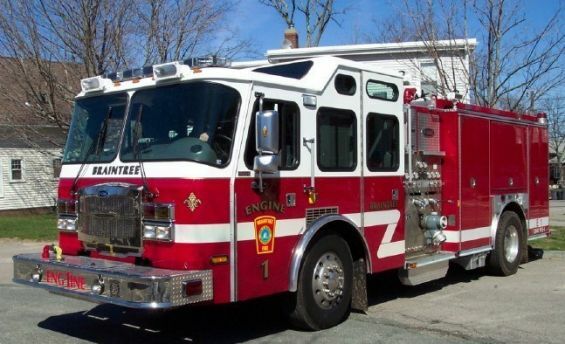 Second due Engine to all fire calls in District 1, third due Engine (RIT) to all fire calls in Districts 2 & 3, and Mutual Aid response to all out of town fire calls. Primary response to all EMS calls in District 1, as well as secondary EMS response to Districts 2 & 3. Also responds to all Haz-Mat incidents and outside fires in District 1. First due Ladder company to all fire calls in Districts 1 & 3, second due Ladder to District 2. Third response to all EMS calls in District 1. Also responds to water emergencies, motor vehicle crashes involving heavy transportation and rollovers, elevator emergencies.